An Iberian amphora with a lid, dating from the 4th century BC, has been found on the beaches of the municipality of El Puig de Santa María (Valencia) and has passed into the hands of the Centre for Underwater Archaeology of the Generalitat to be restored. 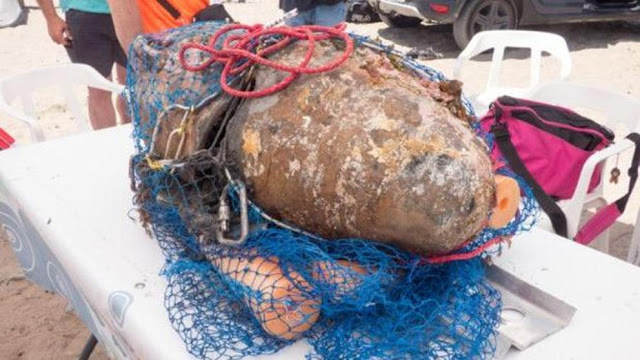 According to a press release from the Generalitat, the amphora, which was found at a depth of 17 metres in a popular diving area, had a wooden lid inside it, making it "the first time that an Iberian amphora with a lid has appeared in the waters of the Comunitat Valenciana". The amphora is in the laboratory, where it is being desalinated so that it can then be treated and stabilised, recovery work consisting of "cleaning the marine deposits, applying a protective varnish and repairing the cracks detected". Once the process has been completed, "the piece will be exhibited, possibly in the Archaeological Museum of Sagunto, so that the public can have a chance to see it". The amphora, the sources explained, "is made of terracotta, was intended for the storage and transport of food products, and weighs 25 kilos, with a capacity of more than 25 litres".